Georgeanne Brennan is an award-winning author, journalist and entrepreneur who is nationally recognized for her work. Her expertise ranges from gastronomy, history, travel and food lore to gardening and farming. A year ago in September, 2014 she launched her on-line store, La Vie Rustic – Sustainable Living in the French Style, www.lavierustic.com which reflects her long-time love affair with France and especially Provence, where she has a home. She has written multiple books on Provence, including the popular memoir A Pig in Provence, the James Beard Award Winner for Best International Cookbook 1998, The Food and Flavors of Haute Provence, and the modern classic, Potager, short-listed for a James Beard Award. Recent works include a travel book, Windows on Provence – Musings on the Food, Wine, and Life of Southern France, and La Vie Rustic -Cooking and Living in the French Style, as well as My Culinary Journey -the Food and Fetes of Provence. Georgeanne grew up in southern California and was educated at San Diego State University, the University of Aix-Marseille in Provence, and the University of California, San Diego, where she earned a Master’s Degree in History. In 1970 she and her husband returned to southern France with their small daughter (their son was born there) and bought an old farmhouse where they made and sold goat cheese, and raised and sold feeder pigs for two years before taking teaching jobs in Northern California, although they returned to France at least once a year thereafter. 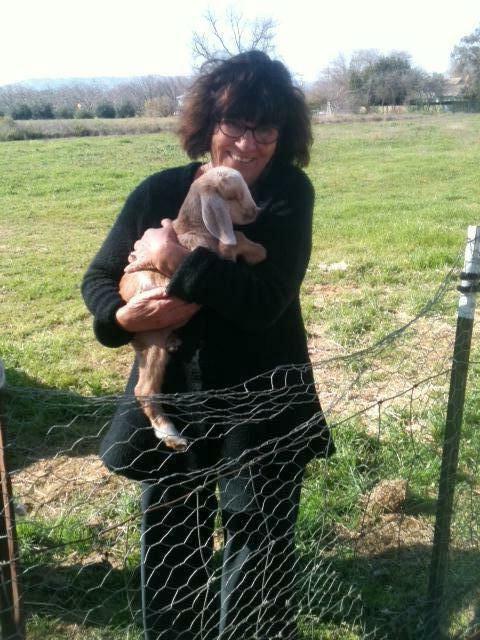 She chronicled this story in her memoir, A Pig in Provence. In 1982 Georgeanne and a partner, Charlotte Glenn, started Le Marché Seeds, a pioneering specialty vegetable seed company that focused on old-fashioned, open-pollinated varieties from France, Italy, Holland, England, Japan and China, as well as American heirlooms. With customers all over the United States, including emerging organic market growers, Le Marché and Georgeanne and Charlotte were featured in such magazines as Family Circle, Metropolitan Home, Organic Gardening and Vogue, as well as in the food and garden sections of newspapers across the nation. They were the first to introduce seeds for such now-mainstream vegetables as Lacinato kale, Chioggia beet, and multiple varieties of radicchio. Out of these activities came her first book, The New American Vegetable Cookbook (1984) co-authored with Isaac Cronin and Charlotte Glenn. Since then, she has written Potager: Fresh Garden Cooking in the French Style, which has been called a modern classic by Patricia Wells, published in both French and German. It was also a finalist for the prestigious James Beard Foundation Award, as was her next book, The Glass Pantry; Preserving Flavors. Shortly thereafter she won the award for Best International Cookbook for her cookbook memoir, The Food and Flavors of Haute Provence. Her book, Aperitif, won a Julia Child Award the same year. She has written numerous cookbooks for Williams-Sonoma, including The Essentials of French Cooking, A Salad a Day, and Cheese Obsessions. In 2006, she brought to life Dr. Seuss’s quirky take on food with The Dr Seuss Green Eggs and Ham Cookbook (Random House 2006). Her memoir, A Pig in Provence (Chronicle Books, 2007; paperback Harcourt 2008, e-book 2012) was published to much acclaim, and has been published in Dutch, Polish, and Korean. In addition to her books Brennan wrote regular features for The San Francisco Chronicle newspaper’s food section for more than twenty-five years and now the occasional op-ed. She has contributed to Fine Cooking, Bon Appétit, Cooking Pleasures, The New York Times, Garden Design, Metropolitan Home, Horticulture, and Organic Gardening, and is a regular contributor and columnist for Edible Marin and Wine Country and the Napa Valley Register. She has been featured in Food and Wine, Gourmet, and Sunset magazines, as well as the Wall Street Journal, among others and has appeared on Oprah.com, Good Morning America, and other shows. 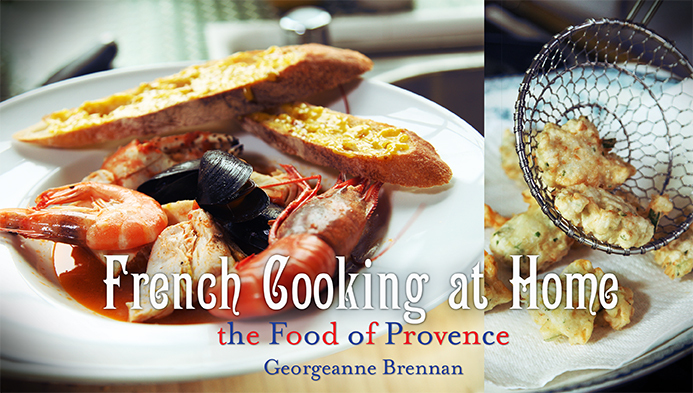 In 2000, Georgeanne opened her own cooking vacation school in a restored 17th century convent located in a medieval village in Haute Provence, not far from her own small farmhouse. The week long experience for small groups features gathering and cooking from the kitchen garden – the time-honored cuisine du potager – as well as shopping in village markets and preparing the equally venerable cuisine du marché. Seasonal activities included mushroom hunting, gathering wild herbs, visits to olive oil mills and local cheesemakers, as well as visits to her favorite restaurants, antique markets and nearby historic sites. In 2006 she discontinued this program in favor of something closer to home: ‘Provence in California’ – culinary weekends at her small farm in Northern California, where participants gathered and cooked from her garden, which she continued until 2012. Georgeanne has been a featured speaker on Provence at the Culinary Academy of America at Greystone, St Helena, CA and at the former COPIA: The American Center for Food, Wine and the Arts and a spokesperson for the California Tree Fruit Agreement. She also has been a guest chef on Crystal Cruises, a frequent guest at the Chef’s Holidays at Yosemite, Whistler School of Cooking in Vancouver, B.C., and at Rancho la Puerta in Tecate, Mexico, as well as a guest teacher at cooking schools nationwide. Additionally, she has taught food and memoir writing at the University of California at Berkeley and Davis Extensions, and at a writing retreat in Provence. Active in the Slow Food movement for many years, she has served as a jury member for Slow Food International Award, a member of Slow Food’s American Ark Selection Committee, and is the former co-leader of the Slow Food Yolo Chapter. She is a member of Les Dames d’Escoffier. Georgeanne lives with her husband on their small farm in Northern California and travels frequently to France and elsewhere in her capacity as a journalist and author. They have four children. I have been following your articles for several years with interest since you taught my daughter Carrie Fountain at Dixon High School. I especially enjoyed the most recent one about your get away to the coast with your son in-law and grandsons. I found the article so refreshing about the approach of sitting together to enjoy a meal and talk to each other. In the present time, most families eat on the run and when they are together, they have their noses in there Iphone or other electronic device and the art of conversation is lost. Growing up, we always had Sunday dinner that was very special, it was not the usual that we had during the week and it was enjoyed with gusto and conversation. I have made it my mission to have a special Sunday dinner every week with linens, nice dinnerware, flowers,candles and soft music. I am making memories for my grandchildren just like those memories were made for me growing up.I am sorry to see that these kind of traditions are a thing of the past for most families. I thought I’d just take a moment to say thanks very much for “Savouring France”, it was one of the first cookbooks that I bought when I started my chef’s apprenticeship many years ago and I still delight in going through it. I find the selection of recipes so quintessentially French and very much in line with the food experiences I have had during my times in that magical country. Hello there, just become aware of your blog through Google, and found that it is really informative. I’m going to be careful for brussels. I will be grateful should you proceed this in future. A lot of folks will probably be benefited out of your writing. Cheers! “The Glass Pantry” is such a beautiful book with wonderful, seasonal recipes; truly inspirational. Your book has forever changed how I view my backyard and how I preserve each month of the year. I would love to “Pin” some of your books and recipes (with links to your website) to my Pinterest account. Please let me know if that would be permitted. Again, thank you for the inspiration and delicious recipes. I look forward to reading your other publications. Such a lovely connection with food. I am interested in talking with you and Ann regarding a project for school lunch. Please contact me when you are available. I have a (perhaps) unrealistic, romantic notion of moving to Provence myself… time will tell. I am so thrilled to have found your blog and newsletter. 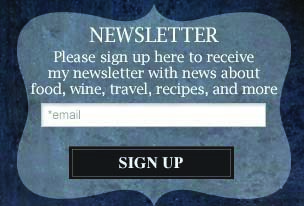 It brings me great joy to read about your life and food adventures. I was one of your students at Vacaville High School in the seventies. I now live and teach elementary school in Sonoma. I love the connection for garden to school lunch concept. Thank you once again for the inspiration to live life in such a lovely way. I will be attending your demonstration and lunch with Charlie on Thrusday. He mentioned that you had fig trees for sale and could perhaps bring one with you. If that is possible, I would love to purchase one!